I�ll look after your stuff. Play your photos,games and movies, and teach you all kinds of things. 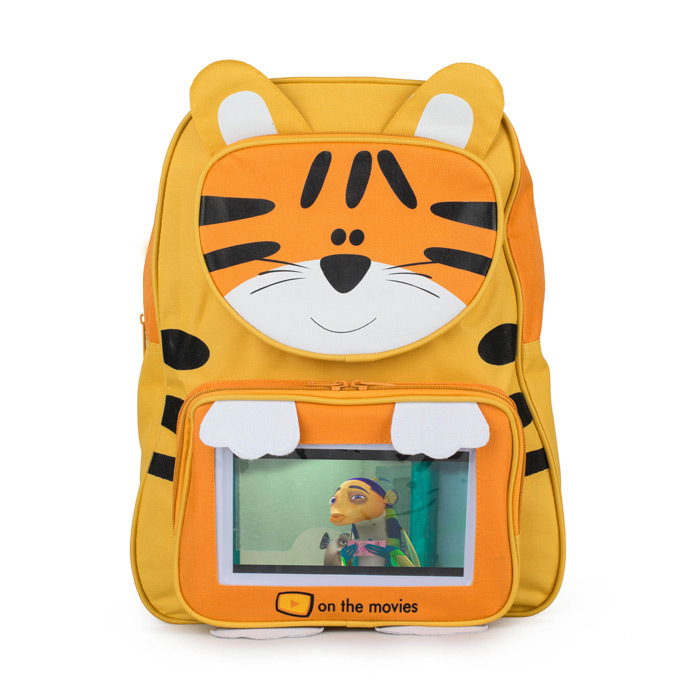 On the Movies� bags includes the bag itself, the 8GB Tablet PC, with loads of kids games and apps already installed, 1 mains charger, and USB/HDMI cables. Top Tip! why not add a 32GB memory card to the �On the Movies� system so that you can down-load more movies straight away. For great prices for these see our Accessories page.